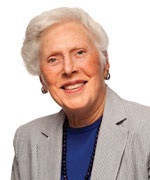 Arlene R. Gordon, for whom the Arlene R. Gordon Research Institute is named, started at Lighthouse International as a Senior Social Worker in 1965 and retired in 1990 after serving as Associate Executive Director in differing leadership roles for seventeen years. Ms. Gordon has served on the Lighthouse international Board since 1992 and served on the Board of Directors until 2000 and was then re-elected in 2001 after a one-year hiatus. Ms Gordon graduated from Hunter College and received a M.A. from the University Of Chicago School Of Social Service Administration. She co-authored "Accounting: A Social Institution, A Unified Theory for the Measurement of the Profit and Non-Profit Sectors", published in 1992.